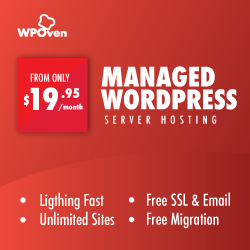 WPOven now offers one free Email account with each Server plan, with additional Emails at $1 per month per account. Each Email account has a storage space on 5 GB. 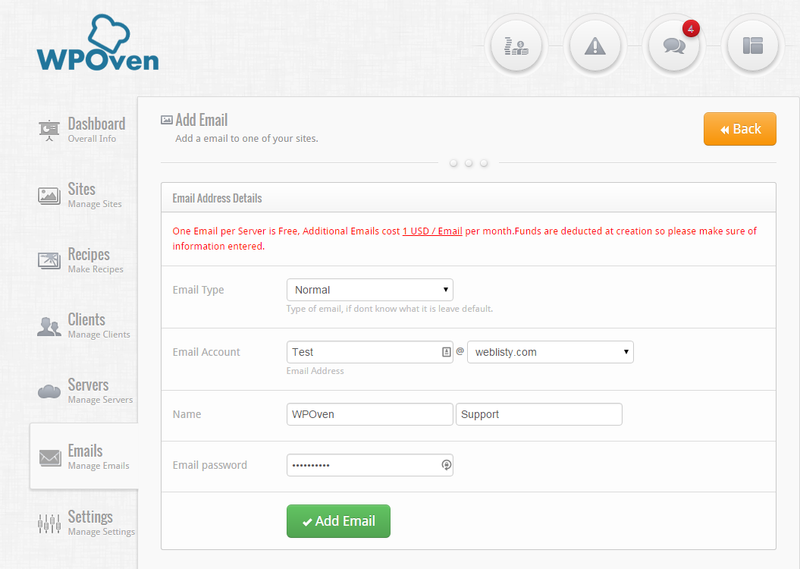 Step 1 : Login to your WPOven dashboard and click on the ‘Emails‘ tab and click on the ‘Add Email’ button. 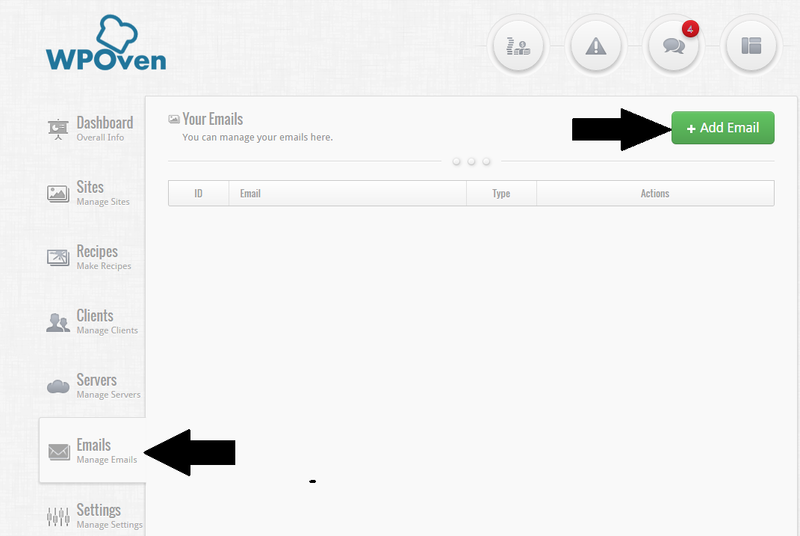 Step 2 : Fill the form and press the ‘Add Email‘ button when done. 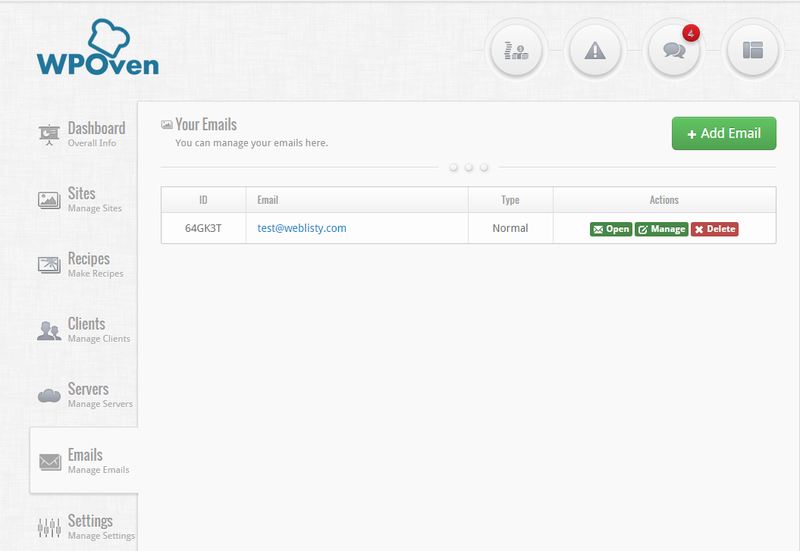 ‘Email Type‘ : This is the type of Email account you wish to create. You can create either ‘Normal‘ or ‘Forwarding‘ type accounts. ‘Email Account‘ : This field takes the Email account name that you wish to create with the domain name on which you require it. ‘Name‘ : Name of the Email account holder. ‘Email Password‘ : Password for the Email account. Step 3 : Your Email account is now created. 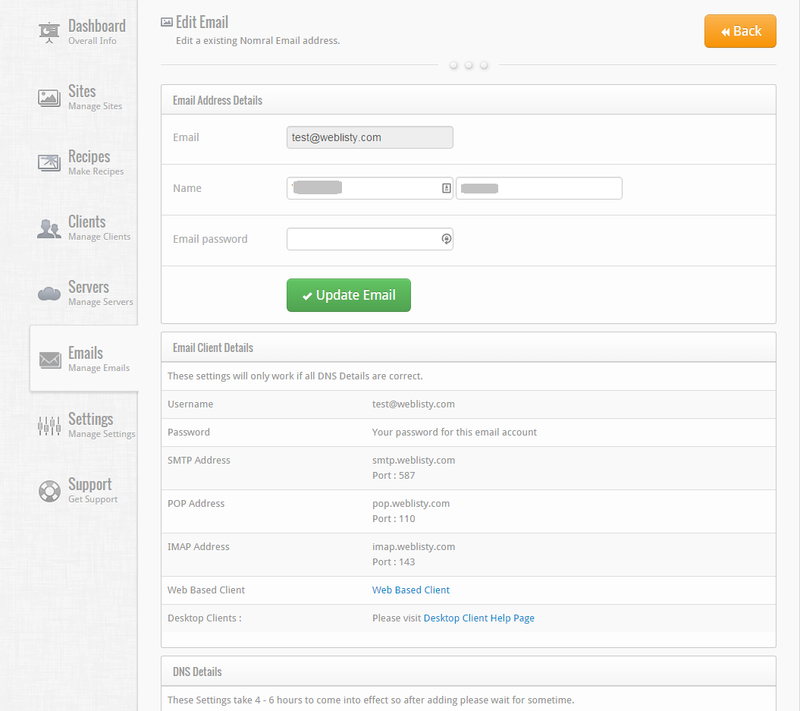 To make changes or see the DNS Details and Email Client Details of the Email account, click on the ‘Manage‘ button.